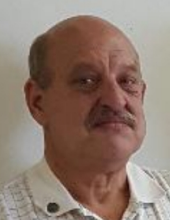 Nedrow-North Brookfield- William J. Barth, 57, entered into eternal rest on Friday, January 18, 2019. He was born on November 8, 1961, in Hamilton, the son of John and Joan Frederick Barth. Bill grew up in North Brookfield and graduated from Waterville Central High School. He furthered his education and attended Utica College. Following college, Bill proudly joined the Army, and served during the Persian Gulf War. He had worked as an Information Technology Technician, (IT Tech) for CC Plus in Syracuse. Bill was a big SU Sports Fan and an avid book reader. His most enjoyment in life came from time spent with his son, Nolan, and any family gathering. Bill is survived by his beloved and cherish son, Nolan Barth, of Jamesville; his mother, Joan Barth, of North Brookfield; his sister and brother-in-law, Amy and Mike Walker, of North Brookfield; three special nephews, Josh Walker, and his wife Ashley, Dalton Walker, and Joey Walker, all of North Brookfield; numerous aunts; uncles; two great nieces, Margaret and Chloe; a great nephew, John; and several cousins. Bill is also survived by his former wife and friend, Cindy, and her husband, Joe Gillette, of Jamesville, and Bill’s best friend, Keith Pierson, North Brookfield. He was predeceased by his father, John R. “Toots” Barth and his brother, Graig Barth. To send flowers or a remembrance gift to the family of William J. Barth, please visit our Tribute Store. Spring Graveside Service with Military Honors. "Email Address" would like to share the life celebration of William J. Barth. Click on the "link" to go to share a favorite memory or leave a condolence message for the family.